I’m reaching a point where I feel I’m learning some things too late to do me any good. Let me start with a parable that has been growing in my mind the last few days. It frames a question that I’ve bumped into in the last few days. Imagine a neighborhood growing rather unkempt and unattractive. There is some discussion about how the neighbors could come together and work on this problem. A dinner meeting is proposed where plans for some lovely flower gardens will be reviewed. Gardens on individual private property, as well as a community garden worked on by everyone, are on the agenda. As the meeting is being planned, a decision must be made about the dinner menu. A majority of the neighbors are Christians. Some are devout Jews who keep to a kosher diet. Would it be helpful if the Christians insist on or expect pork chops and lobster for dinner, with bacon bits on the salads? What will the Mormons say if the only beverages offered are coffee and Coca-Cola? Will a dinner that only Christians will eat assist in building any neighborhood gardening friendships to deal with the immediate blight on the city where they all live? Will insisting that people who don’t eat good food that Jesus Christ has pronounced clean are just wrong help open a door for more important spiritual conversations later?? I saw a story online that said the Pope was going to “allow” Muslims to pray Islamic prayers for peace at a meeting of Christians, Jews, and Muslims gathering to pray for peace in the Middle East. Some people were alarmed. “Catholics beware!” wrote one person. A few weeks ago, I heard a Christian Bible teacher strongly recommend against basing decisions on just a single verse in the Bible. It was important— necessary — to understand the whole context, to comprehend the deeper background, to avoid misunderstanding and errors of theology. I agree that deeper, closer study of God’s Word is never a bad thing. But are single verses (like Exodus 23:13) never clear enough by themselves? Jesus withstood face to face temptations from the devil three times by quoting single lines of Scripture. Can the children start there, at least? The longest journeys can only begin with small, single steps. I’m noticing how the way an issue is framed, the reference points that are chosen, affect perception of the facts. Pious Pharisees, devoted to carefully keeping God’s law, got upset when Jesus ignored rules for honoring the Sabbath by healing people then instead of waiting. When he saw this, Jesus got upset, too. As I say, I am a bit late coming to see a difference between asking someone to help tidy up a community garden and asking them to come to my home kitchen and take over cooking for my family. I would love to have a conversation about healthy, nutritional diets with my neighbors one day. But it probably won’t happen if I won’t show up to pull some weeds with them in the neighborhood first. On Palm Sunday, Melanie and I listened to Bishop Barron’s online homily. He told of attending the ordination of a priest who had chosen the line “The Master has need of him” as a motto. Bishop Barron drew his meditation around the implications of Jesus (who, as God, needs nothing) calling us and allowing us to participate with Him in His work. As the Sunday hours went by, I continued to reflect on Jesus’ instructions to the disciples that day outside Jerusalem. I created a small poster for my friends in Facebook. By evening it had drawn several delighted responses. But something kept nagging at my thoughts. Was this actually what the Bible said that Jesus said? When I got up Monday I went searching for the Bible account. I started with Matthew’s Gospel. The word Matthew, Mark, and Luke quote from Jesus, when he tells the disciples what to say if asked why they are taking the young donkey, is kurios. Nearly every English translation renders it as Lord. That’s what Jesus is, right? It is this more general usage of the word that Jesus is taking advantage of with the donkey’s caretakers. When the disciples seem to be saying, “The boss needs it,” those servants yield immediately. Jesus has not lied, nor have the disciples. Jesus is simply turning the chronic misunderstandings and hasty assumptions he has met over and over from the people to his advantage. The village of Cenchrae (modern Kenchries) is five miles east of Corinth and was its port to the Saronic Gulf and Mediterranian Sea. The only other time it is mentioned in the New Testament is in a passing comment by Luke near the end of Paul’s second missionary journey. How did Deaconess Phoebe earn a place on Paul’s radar? I have one guess. Her trade was as a hairdresser. It’s just a guess. But the only thing Luke tells us about Paul’s visit to Cenchreae was that he apparently went to a barber. The sudden announcement that Paul took this arcane step of Jewish piety goes without any further elaboration from Luke. Why would Paul undergo such an odd ritual after he’d been preaching in one mission field after another about new life in Christ received by grace and faith, not by works of religious tradition? Because he planned to keep an upcoming feast at Jerusalem, Paul took a vow and shaved his head when he finally left Corinth and came to Cenchreae. This visible act of piety seems to have earned him a favorable reception at the Ephesus synagogue a short time later. But Paul declined their invitation to stay longer because of his plan to keep the feast in Jerusalem. Some surmise that Paul was aware that reports were getting back to the Apostles about the hub-bub his ministry to the Gentiles was causing in the synagogues he had visited. The Apostles in Jerusalem had known Barnabas personally and trusted him. But Paul had split from Barnabas. All that the Apostles had ever seen from Paul directly in Jerusalem was persecution. Perhaps Paul knew he needed to let the leaders in Jerusalem hear a fresh report from him personally. Participating in a full Jewish religious feast would be a testimony of his respect and honor for God’s people. It would help settle rumors about him. Because his surviving letters to early churches and associates were included in the New Testament canon, and because of Luke’s history of Paul’s life in his record of acts by the first Apostles, Paul has dominated our perception of the early days of Christianity. But even Luke gives us reminders that the Lord had many witnesses active throughout the mideastern lands of the day. And God’s servants were working together in different ways. There is the story Luke tells of Priscilla, Aquila, and Apollo, in Ephesus for instance. (Acts 18:24-26) In his initial description, Luke says Apollo was already “mighty in the Scriptures” and “fervent in spirit.” He came to be recognized and commended by Paul (I Corinthians 3:6). But Priscilla and Aquila took him aside after hearing him the first time, to fill in some gaps in his theological understanding. Luke specifically notes that this encounter was done alone, away from any audience. It was a sensitive and respectful confrontation. We may conclude that Apollos received the correction well and it further strengthened his teaching. Luke says that Apollos continued on to Achaia, the province that was home to Corinth (with Paul’s blessing — I Corinthians 16:12) where he “greatly helped” the believers (“watering” those who had been “planted” by Paul). The Apollos incident is interesting when compared with one that Luke did not mention, but Paul did. Luke (apparently not personally accompanying the team during this leg of their trip) briefly summarizes things, reporting that Paul moved on after visiting his home base in Antioch, going through “the region of Galatia and Phrygia.” (Acts 18:22-23) Luke gives no further report about anything noteworthy happening in these places. But in Paul’s later epistle to the churches of Galatia, he describes a public rebuke that he gave Peter while in Antioch (Galatians 2:11-13). What interests me is the contrast between the discreet confrontation Priscilla and Aqila conducted with Apollos and the public outburst Paul let loose on Peter. Personalities shaped the unfolding of the Christian witness from the beginning. Conversion did not always mean immediate mellowing of social interactions or tempers. Paul says Barnabas was influenced by Peter’s behavior. (I can hear the voices in his head: It’s Peter! How could he be wrong??) This might indicate the episode had taken place much earlier, or perhaps Barnabas was also paying a return visit to the Antioch community. In any event, a clash with Peter, no matter how wrong he was, probably could not help Paul’s reputation in Jerusalem. I think I first heard the term pericope during my studies to become a deacon. I may have heard it before then, but it’s a technical term usually heard in formal theological studies and not one that commonly comes up in conversation with friends, even at church. It means “cut out” and refers to the short excerpts or parts of a story that highlight a single thought or event within the story. Church services that include Bible readings from a lectionary read pericopes taken from different passages. Most of the sermons I’ve heard limit their scope to these short numbers of verses in order to closely examine them — quickly. 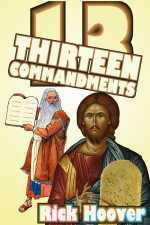 Lately I have been writing commentaries on entire books of the Bible. To my surprise I keep catching sight of patterns and designs that only come into view by taking larger views, long stretches, even several chapters at a time, into consideration. This has happened most recently for me as I have been making my way through St. Luke’s Acts of the Apostles. 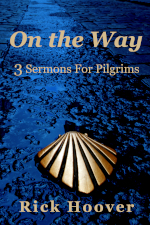 I draw your attention to Chapter 16, where Paul is early in his second missionary journey. This trip famously got started with an argument. His mentor, Barnabas, wanted to invite young John Mark to go with them. Paul still held a bad attitude over Mark abandoning them on their first mission trip. Barnabas, ever the encourager, refused to back down and started off without Paul and with Mark. Paul, having come to depend on having a wise, elder believer along side to minister with him, sent a call to Jerusalem for Silas, the prophet. Silas had been sent by the great Jerusalem Council to Antioch to confirm the gracious letter of fellowship sent to this Gentile community where Paul and Barnabas had been ministering for years. When Silas arrived, he and Paul hit the road to revisit the believers that had been reached during Paul’s and Barnabas’ first trip. Everywhere they went, Paul read out the Letter from Jerusalem which welcomed Gentiles who were putting their faith in Jesus without demanding that they become Jews first. Perhaps reading the gracious tone of the Letter over and over worked on Paul’s conscience. He had broken with Barnabas through his own lack of graciousness toward Mark. As Chapter 16 begins, Paul meets Timothy, a young believer well spoken of by the brothers of Lystra and Iconium. Perhaps Barnabas’ example of wanting to mentor younger men who could eventually carry on the work weighed on Paul’s mind. He invited Timothy to join the team as they continued their mission to the Gentiles. But first he commanded that Timothy (who had a Gentile father) be circumcised because of the Jews — precisely the rite the Jerusalem Council had refrained from demanding of their new brothers, the Gentiles that Paul wanted to reach. I had missed that irony when I read only about Paul taking Timothy along. In the context of Paul learning to be more gracious while mentoring new believers, the next pericope in Luke’s narrative is also interesting. Having decided not to travel with Barnabas over the same route as their previous trip, Paul has to decide where he will go instead. And the Holy Spirit blocks him twice in the directions he tries to go. Paul ends up going to his third choice, Troas. Luke doesn’t say so directly, but this is where he met Paul and joined the team. Thereafter in his account, Luke stops writing in the third person and adopts “we” as his description of the team. God has sent Paul an observant, intelligent Gentile to accompany him. Silas, Paul’s first choice, will receive co-writer credit on two of Paul’s letters (to the Thessalonians). But Mark will write the first Gospel summary. Luke will write a longer, more detailed Gospel and the only account we have of the early years of the Church (indeed the only explanation we have of how one of its most violent early critics became the most important missionary the early Church ever had). If you just went with pericopes of this story, you might miss how patient God was in training and shaping Paul, bringing him slowly along to the honored place he would finally have in Church history. The first Gentile convert in Europe was a woman, Lydia, a rich businesswoman in Philippi. She heard Paul because there was no synagogue in town for him to visit. And so the team gathered at the river and spoke with people washing their clothes. Soon Lydia and her whole household were washed with baptism in that river. And Paul’s team had an invitation to lodge at her house. The fact that Lydia was rich enough to own a house suggests her status in the community. She was the contact enabling Paul to reach the upper crust of this city. But keep reading. When God had gathered up this important woman for His Church, Satan sent one of his own women to try to block the threat. Until now Satan’s attacks had all been direct and violent. Stephen, the deacon, was dead. John’s brother, James, was dead. Paul had already suffered beatings after directing some attacks of his own just a few years before. None of that had stopped the advance of the Gospel. So now Satan tried a new tactic. As soon as Paul cast out the deceiving spirit, the slave girl’s owners lost their fortune telling business. They were in no mood to coexist with these tourist strangers now! In no time they have gotten the lazy civic leaders, who only want to quietly draw a nice salary without trouble, to arrest Paul and Silas and throw them in jail. You’ve heard the pericope about the earthquake that sprang all the prison doors open that night. But think about the big picture. This is the town where God has given Paul a contact with the upper class. Now God is providing Paul and Silas a chance to preach to the town’s lowest class of people — and they’re a captive audience. Furthermore, the fact that Paul calmly stays put when he could run away provides an impressive testimony to the other prisoners that this Messiah Paul is talking about must be the real deal. Paul is a stranger in town and already has high class friends among the rich folks. Paul is so persuaded Jesus is taking care of him that he doesn’t have to worry about little things like being in jail. Is that the only reason Paul refused to walk away when he could? Take another look beyond the pericope. The guards were innocent of wrongdoing. So was the Philippian jailer. But he was so terrified of being held responsible for any prisoners getting away in the chaos of the earthquake that he was ready to kill himself. Paul did not want a repeat of the fallout from Peter’s escape. In both of those earlier cases, angels had specifically told Peter to get out. Paul had gotten no such instructions or messengers. By staying in his cell he saved the jailer’s life and had the opportunity to lead his whole household to Christ and baptize them. That was why Paul was on his missionary journey to begin with. And there was that final meeting with the city officials the next morning. By staying in jail, Paul was able to demand an official apology for his wrongful imprisonment and leave the new Christian community in a display of public honor and respect from the town leaders. He took time for one more visit at Lydia’s house. And it was all one more great backfire in Satan’s face. Luke told more stories about this town than any other among all the places he visited in Paul’s company. Small wonder that this introduction to the new adventure of proclaiming Christ to the world made an impression on him. And small wonder that of all the letters Paul later wrote to churches he started, the letter to the Philippians is the most joyful. The individual moments of the visit to Philippi are wonderful. Taken all together against the larger story, it is awesome to see all the dots God was connecting there. I discovered an early case of his dilemma as I read St. Luke’s account of the First Missionary Journey of Paul and Barnabas. Stay or go? The question rattled around my brain all night. Jesus spoke of building homes on rock so they could stand up when wind and floods came against it. (Luke 6:47-48, Matthew 7:24-25) Opposition was expected but the house was supposed to stay put. As I thought about that, another image came to mind. Jesus told his disciples he was going to make them “fishers of men.” (Matthew 4:19) I thought, fishermen have to go where the fish are. A fisherman could spend all day throwing his net perfectly. But if he was throwing the net over thorn bushes, he would only tear his net and ruin it. That would be a waste of time. You don’t find fish successfully where they are not. You don’t pick fruit that’s not ripe. My thoughts turned to the parable Jesus told about sowing seed. (Matthew 13:1-10, Mark 4:1-9, Luke 8:1-8) For the seed to grow and produce a crop it had to stay put in the ground where it was placed. If there were stones or weeds in the way, they had to go. The gardener-sower didn’t need to stay. He just needed to make sure the seed was well placed and protected — covered — so it could root and grow up. Then the sower could move on. That is the difference between seed and sower, I thought, between the time you stay in your house and the time you travel. Two different assignments. Two different seasons. The people doing each are together for awhile and then their assignments take them in different directions for awhile. There will be time to catch up with each other’s stories when it’s time to harvest. St. Luke’s account in the Book of Acts of the first developments of the Church includes summaries of three early sermons delivered to quite different audiences. All three sermons contain one particular fact from the ministry of Jesus that the Early Church Fathers were to include in all the Creeds that were eventually defined. Jesus Christ lived, died, and rose from the dead. The point of each sermon was to present the metaphor. There were things already obvious to people. There were meanings to those things that could only be known if someone revealed and pointed them out. This was why Jesus specifically said his followers were to be witnesses, giving their testimonies. They were not expected to prove, convince or transform anyone. That was the task given to the Holy Spirit Who accompanied the witnesses. And what a relief that is! It is easy to simply say what you saw, what you know happened in your own heart and life. It is easy to point to something for others to look at. It is hard to explain how or why things happened the way they did. The questions are real. The job of answering all those questions belongs to the One Who is in charge. And that is not us. The sermon in the Book of Hebrews deals with the division of abilities and responsibilities in our testimony. By faith we are able to tell others this is that. It’s the key to good preaching. I’m writing a book of reflections on the narrative histories in the New Testament. Today I was considering fiery Saul on the road to Damascus, full of righteous anger toward those upstart Jews departing the traditions of Moses to follow a new Way. I didn’t want to wait until the book is finished to share this meditation. It’s appropriate as we prepare to begin a new year. In the story it’s as if Jesus turns around to speak to a rambunctious child in the back seat of a car. “Hey! What’s going on with the noise back there? 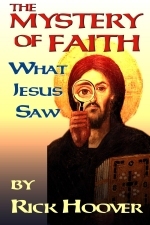 ?” It becomes apparent that Jesus still intends for the trip to continue. It is the same direction Philip must have heard after the Lord told him to start walking to Gaza. This instruction also reflects the order of a relationship-based orientation, the new life to which believers are born. We no longer need to have all the answers before we move. It is no longer necessary or adequate to memorize rules and laws of behavior alone, thinking they are all the guidance we need. It is true that God’s words do not pass away. (Psalm 119:89, Matthew 5:18, 24:35, Mark 13:31, Luke 21:33) It is good to know and study them. The reassurance is for all of us each day.